Heron Island is known the world over for its excellent Great Barrier Reef dive sites, coral gardens and pinnacles. So good is the scuba diving, that Jacques Cousteau—the world’s most famous undersea explorer of our time—listed Heron Bommie as one of his top 10 favourite dive sites. And there are plenty of sites to explore, more than half of which are just minutes away from the jetty. The waters around Heron Island Resort are relatively shallow (avg depth 10-25 metres) and are teeming with reef fish, turtles, manta rays, reef sharks, and an endless variety of marine invertebrates. Around 60% of the 1,500 species of fish, and around 72% of the coral species found on the Great Barrier Reef call the waters around Heron Island home. Heron Island Resort caters to all levels of marine enthusiasts from the novice snorkeller to experienced divers, and offers PADI™ certified courses as well. 3 daily dives (09:00, 11:00 and 14:30) and night dives too! All dives to the reefs surrounding Heron Island include the boat trip, air, scuba tanks, and weights. Additional equipment, unless otherwise shown as included, can be hired from the Marine Centre, and are listed below under Dive Equipment Hire. Each Dive Trip is a single tank dive and lasts about 1.5 hours. Single dive rates do not include equipment. Full Gear hire can be arranged for $45 AUD per day. All dive packages include equipment. Requires divers to have completed a minimum of 20 dives or have logged a previous dive on Heron Island. Light stick and torch provided.  The Heron Island Marine Centre offers a wide range of quality dive and snorkel gear for hire and sale. The current selection features the latest Aqualung equipment. Wetsuit selection includes 4 mm shorties for the warm summer months, to 7 mm full-length suits for the colder months. N.B. All prices are per person, per day. Children may dive if they are fully certified however ages 12 & under must have their own private guide due to depth restrictions. Children under 14 years of age must be accompanied by a parent or legal guardian. All divers must meet medical requirements. While our Dive Team strives to take guests to as many dive sites as possible, all diving activities are subject to environmental conditions—to ensure maximum safety and enjoyment for everyone. Rates in effect to March 31, 2020. Heron Island reserves the right to discontinue or alter services and rates without notice. Three fully equipped dive boats with capacities of up to 20 divers make diving or snorkelling from Heron Island a well-organized and comfortable experience. Our spacious dive boats also feature a full canopy cover for sun protection. Our boats make diving easy for divers of all levels, with giant stride entries and exit via wide ladders. Distances to the island’s dive sites are relatively short and all dives are conducted as single tank dives, so you can do as many or as few dives in a day as you please. Single dive trips are great for those who want to take advantage of the island’s other activities and facilities. Dive sites of the day are chosen by the crew for the best possible diving/snorkelling conditions. Every dive is accompanied by a qualified Divemaster who will navigate the dive and help point out some of the more interesting critters on the reef. Dive Boat Charters include light refreshments, 3 dive staff, air, scuba tanks, and weights. Additional dive equipment can be hired from the Marine Centre. A minimum of 4 people is required for boat charters, and children under 14 years must be accompanied by an adult. Charters include air, tanks, and weights only. Light refreshments will be provided. 5-Star dive destination that offers an extensive range of certified PADI Dive Courses. For those that have not dived in the last twelve months. Held in the Heron Island pool. Dive equipment additional. For those that are feeling a bit rusty, and want to review some theory and dive basics first to get the most out of their dives at Heron. Held in the Heron Island pool, includes equipment, and one supervised dive with a qualified instructor. For Beginners who want a taste of diving yet have no prior experience. Includes classroom and pool sessions, equipment, and one supervised dive with a qualified instructor. Children under 12 years are not permitted to dive. Follow on from Discover Scuba Diving Course. Includes equipment and instructor guide. Children under 12 years are not permitted to dive. This course enables students who have done the necessary theory online with e-learning on padi.com to complete their Open Water Diver Course. The course runs for 2-3 days. Divers may require dive medical certificate AS4005.1. Pre-booking is essential. This course enables students who have done the necessary theory and pool components to complete their Open Water Diver qualifications. Bookings must be made in advance, prior to arrival. Includes all equipment and boat charges. The course runs for 2-3 days, but it pays to allow 3 days. Divers may require dive medical certificate AS4005.1, plus referral from initial dive instructor (referrals are valid for a period of 12 months). Pre-booking is essential. This course runs for 2 days. Divers may require dive medical certificate AS4005.1. Pre-booking is essential. While our Dive Team strives to take guests to as many dive sites as possible, all diving activities are subject to environmental conditions—to ensure maximum safety and enjoyment for everyone. Please contact our Marine Centre with your booking enquiry by phone on (07) 4972 9055 or email [email protected]. What To See: Female turtles are laying eggs on the beach and hatchlings are making their way to the sea. What To See: End of turtle nesting season. What To See: Humpback Whales frequently sighted. Visibility up to 50 m.
What To See: Humpback Whales active. Turtle mating may be observed. What To See: Turtle egg-laying begins. Some first hatchlings emerge in December. Annual synchronised coral spawning. Heron Island’s signature dive site. The site consists of six large coral heads that start in 5 meters of water and dot down the reef slope to 18 meters. This is a major cleaning station for all the animals in the area, including the majestic mantas and eagle rays to clouds of colourful damsels and everything in between. You will be surrounded by fish and swim over forests of branching corals. Keep your eyes out for wobbegongs and reef sharks, manta rays, banded pipefish and nudibranchs. 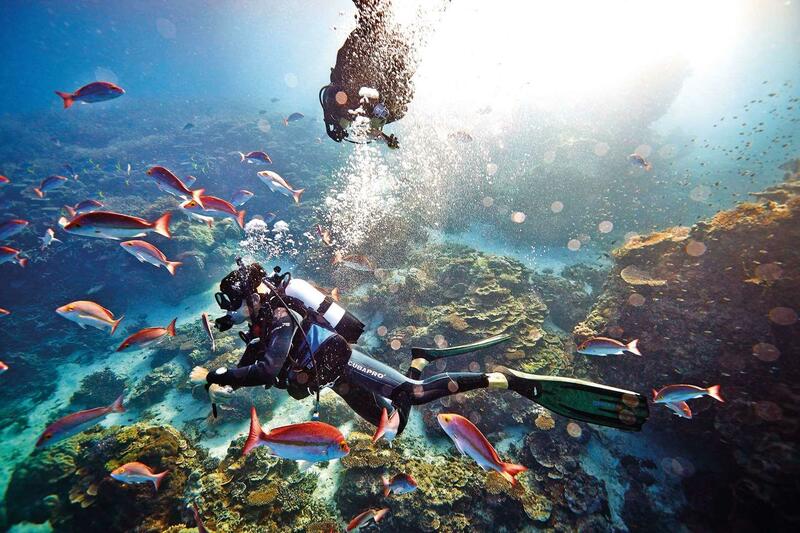 Dropping down the mooring line you will be surrounded by colourful reef fish. A big field of staghorn coral will lead you to a bommie with healthy coral. On and around the bommie you are likely to see batfish, white-tipped reef sharks, nudibranchs and the usual reef fish. Going with the current you have a chance to see the majestic manta rays swimming on their way to the several cleaning stations at this dive site. It is not uncommon to see turtles hiding among the cracks and crevices at this site. Lots of little holes to stick your head in, and lots of interesting little (and big) creatures to find. Expect to see painted crayfish, green, loggerhead and hawksbill (if you’re lucky) turtles and lion fish. As the name suggests, this entire dive site is covered in hard and soft corals of all different types. There are many different types of crustaceans hiding in the corals. And perched in the higher branches for those with a keen eye are scorpion fish waiting patiently for their next meal to swim by. Heading down the mooring to around 15m, Tenements lies hidden behind a 12m wide coral plateau. Large flat bommies are a great place to look for nudibranchs and as you come to the corner of the plateau at around 18m, shoals of fish gather and feed on the nutrients of the incoming tide. The wall provides a good chance to see grey reef sharks, barracuda and mackerel. Lay back and relax as the current drifts you towards Shark Ledge. One of the drains for Wistari reef, named so because of the 3 large bommies that are spread down a steep sandy slope. Starting in 2 meters of water and dropping down to 25 meters this is a very good drift dive when the current is running around to the old jetty. Lots of pelagics, nudibranchs, hard corals and if you’re lucky, an olive sea snake coming up to the shallows for a quick breath of air before heading back into the deep water of the channel. A large gully leads out to beautiful coral wall full of biodiversity. Just past the gully there a few scattered bommies at 18 meters. The wall is best observed from 8 to 14 meters. There are schooling unicorn fish, many spotted sweetlips and milkfish feeding on the surface. Named after the large bommie that is the main feature of this dive. North bommie is covered in glass and cardinal fish that are harassed all day by dozens of coral trout, coral cod and barramundi cod. This bommie is a major cleaning station for that area of the reef and you will see large manta rays and turtles getting cleaned here on most dives. This site consists of a series of shallow canyons cutting into the edge of the reef that are filled with fish, turtles and sharks. Along the ridges between the canyons, you will often see groups of big fin reef squid vertically stacked in the water column, rippling with changing colours as you swim past them. Out deeper there are scattered bommies, each with their own array of fish and other marine life. If you like coral then this is the site for you! You will enjoy gliding over so many different types, shapes and sizes of coral, as well as seeing the wide variety of marine life that call this site home. This site is a favourite amongst divers, especially with a camera in hand. While the Heron Island Resort Dive Team strives to take guests to as many dive sites as possible, all diving activities are subject to environmental conditions—to ensure maximum safety and enjoyment for everyone. Naturally, safety is of high priority on Heron Island and all dive staff are trained in diving first aid. A ‘C’ card must be presented upon check-in. Use of a BCD, timing device and/or computer, regulator (with pressure and depth gauge) and an alternate air source is mandatory. Australian Scuba Diving Standards require that all certified divers are medically fit to dive. Certain medical conditions that may be accepted in other countries (i.e. USA and Canada), may exclude you from diving at Heron Island such as asthma, epilepsy, diabetes and high blood pressure or blood disorders of any kind. If you are taking any medication (with the exception of the contraceptive pill) you may also be excluded from diving at Heron Island. If you suffer from a medical condition or are taking medication, a fully completed medical AS 4005.1 is to be completed by a Queensland medical practitioner with knowledge of diving medicine. This is to be presented to the Heron Island Marine Centre before you will be able to participate in any form of diving activities. A copy of the Medical Form and a list of accredited medical practitioners are available at http://www.spums.org.au/. The dive team reserves the right to exclude divers from diving in line with safety and PADI regulations. If you have any medical concerns, please consult a dive accredited doctor. Safety regulations on Heron Island require that guests traveling from the Island by helicopter and/or by fixed wing aircraft must not dive for a minimum of 24 hours prior to flying. Diving equipment should include an alternate air source, dive computer, safety sausage and a snorkel.